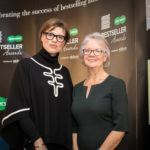 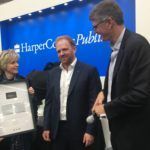 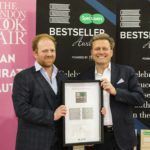 On the 14th of March, 2019, Karin Slaughter was presented with an Honorary Platinum Nielsen Bestseller Award at the London Book Fair. 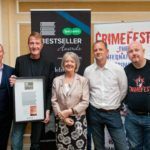 This award is in recognition of Slaughter’s combined UK sales of over 5,000,000. 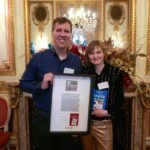 Published in 37 languages, with more than 35 million copies sold across the globe, her eighteen novels include the Grant County and Will Trent books, as well as Cop Town and the instant New York Times bestselling novels Pretty Girls and The Good Daughter. 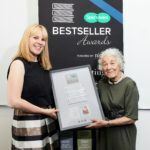 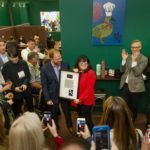 E. L. James being presented with her award by Andre Breedt On the 13th of March, 2019, E. L. James was presented with a Sextuple Platinum Award for Fifty Shades of Grey at the London Book Fair. 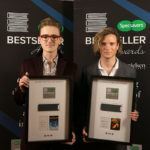 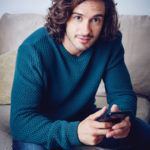 A former TV executive, wife and mother-of-two based in the leafy suburbs of West London, James has been writing romantic fiction since 2009 and in 2012 her career took an extraordinary turn when the Fifty Shades Trilogy became worldwide bestsellers and subsequently a series of blockbuster movies. 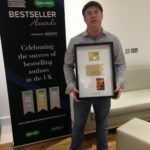 James’ first novel in the Fifty Shades trilogy has astonishing sales of over 6,500,000 in the UK alone. 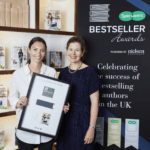 Sarah Morgan’s Snow Crystal Trilogy has sold over 250,000 copies, earning her a Silver Nielsen Bestseller Award. 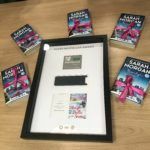 USA Today bestselling author Sarah Morgan writes contemporary romance, and she has won a prestigious RITA© Award from the Romance Writers of America three times. 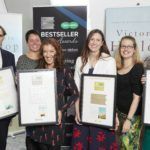 Sarah was presented with the Silver Nielsen Bestseller Award at the HarperCollins offices in London on 12th December 2017. 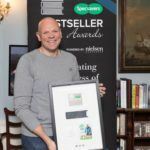 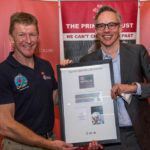 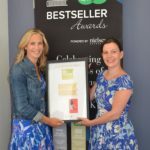 Silver Nielsen Bestseller Award for Hello, is this planet Earth?